A Jester’s Tale (1964) is a delightful and entertaining period piece that combines live action and animated engravings in an original and ingenious way. A farmer named Petr is happily ploughing his field when a group of soldiers press gang him into joining the king’s army. Petr’s independent and ironic attitude makes him completely unsuited to army life. As the army marches into battle in the Thirty Years’ War, Petr stumbles over rocks and is distracted by forget-me-nots. Those who are already connoisseurs of the sly humour and sheer inventiveness of Czechoslovak New Wave cinema will not be disappointed with this 1964 instalment, directed by Karel Zeman. The political liberalisation that took place in 1960s Czechoslovakia meant that filmmakers were blessed with an enviable cross between relative artistic freedom and central planning’s guaranteed funding and facilities. Directors of the time were particularly keen to make films about everyday life, previously a tricky subject: Socialist Realism prescribed films that glorified a heroic past or looked forward to an ideal future when Communism’s contemporary difficulties would be ironed out. Films by documentary-influenced directors like Miloš Forman and Ivan Passer turned their lens on a contemporary setting, but even historical films like A Jester’s Tale had something to say about everyday life. Petr is a perfect example of an individualist who does everything he can to avoid the honourable roles that society attempts to impose on him, because he sees the hollow reality behind the hype. Zeman makes a mockery of war by representing it through animation. There is something innately irreverent about taking static book illustrations and bringing them to life, and all the more when animation allows unlikely events, like the rank and file soldiers getting their heads blown off in unison. It will remind many viewers of the Monty Python animations by Terry Gilliam, who cites Zeman as one of his influences, along with Polish animator Walerian Borowczyk. Zeman stands out for his ability to combine live action and animation in the same frame, to the magical point where it’s hard to tell where the drawings end and reality begins. In his engaging liner notes, Ian Haydn Smith tantalises us with descriptions of Zeman’s early shorts, including a popular series of satirical puppet films and Inspiration, a lyrical animation of glass. At just 81 minutes’ running time, A Jester’s Tale leaves some spare space on a DVD, so any of these shorts would have been a welcome addition to this release. The Second Run DVD is presented in a new anamorphic digital transfer and features a new essay on the film by writer and book editor Ian Haydn Smith. 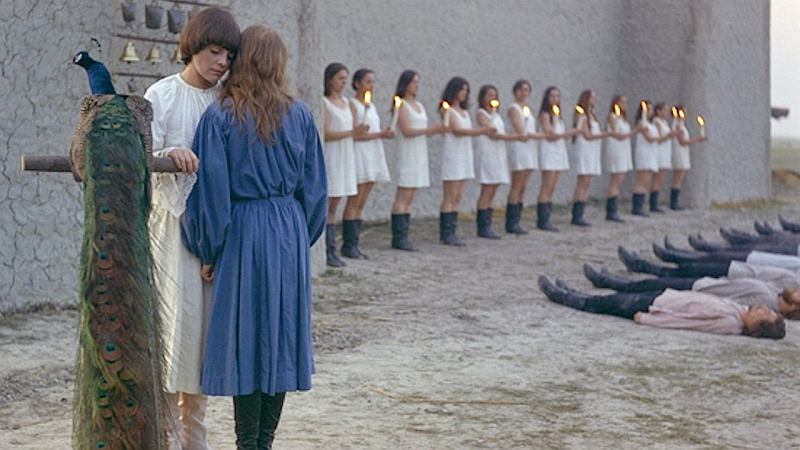 It’s easy to see why director Juraj Jakubisko was known as the Slovak Fellini. Birds, Orphans and Fools (1969) instantly sweeps the audience along with a liberated camera that plunges joyfully into the film’s carnivalesque world. It has been called a surrealist film, and like other films that fall under this loose designation, Birds, Orphans and Fools focuses less on storyline, more on original images and unpredictable digressions. Unlike some so-called surrealist films which alienate the audience with a lack of structure, Jakubisko’s work has a developed sense of timing, keeping the audience engaged by regular changes of scene. Furthermore, these diverse scenes are given meaning and unity by the continued presence of a central trio: Yorick, his girlfriend Marta, and his best friend Andrej, a photographer. They live in a tumbledown barn, presided over by a maudlin old man, with a variety of little birds flying in and out at will. The title comes from the old Slovak saying that God looks after birds, orphans and fools, but the film seems to contradict the proverb with a tragic ending, announced by the director’s voice-over during the opening sequence. The source of the tragedy is jealousy, already present early on when Yorick, Marta and Andrej live together in near-utopian bliss. They enjoy a playful existence, always clowning about, living up to their reputation as fools. But every so often, the men show signs of resentment towards Marta: Andrej sees her as an unwelcome newcomer who disrupts his friendship with Yorick, while Yorick suspects her of unfaithfulness. The men’s unkindness and injustice in these moments is emphasized by their regression into anti-Semitic insults. Later, when the characters adopt a more bourgeois lifestyle, feelings of ownership and exclusion become more pronounced, leading to the film’s shocking finale. Completed in 1968 just after the Soviet invasion and banned the year after, Birds, Orphans and Fools is a key example of the lesser-known Slovak side of the Czechoslovak New Wave. With its stylistic experimentation and non-conformist characters, the film recalls V&ecaron;ra Chytilová’s Daisies (1966), but is less manic and more pastoral. It also invites comparison with French New Wave masterpieces: its ménage &#224 trois recalls Truffaut’s Jules and Jim (1962), but its stylistic virtuosity and affinity for youth culture makes it closer in spirit to Godard’s Breathless (1960). Jakubisko has a talent all his own when it comes to integrating the contemporary hippie zeitgeist into the traditional Slovak countryside. He emphasizes an organic relationship between modern and traditional lifestyles, rather than taking the more obvious approach of ironic contrast. In an excellent and wide-ranging essay in the DVD liner notes, Peter Hames traces the film’s lineage back to Slovak surrealism, with its characteristic attachment to folk culture. Equally, though, I would suggest that this film has roots in Poetism, a uniquely Czechoslovak version of dada, which emphasized a good-humoured, self-deprecating, playful attitude to life and a powerful attachment to nature. 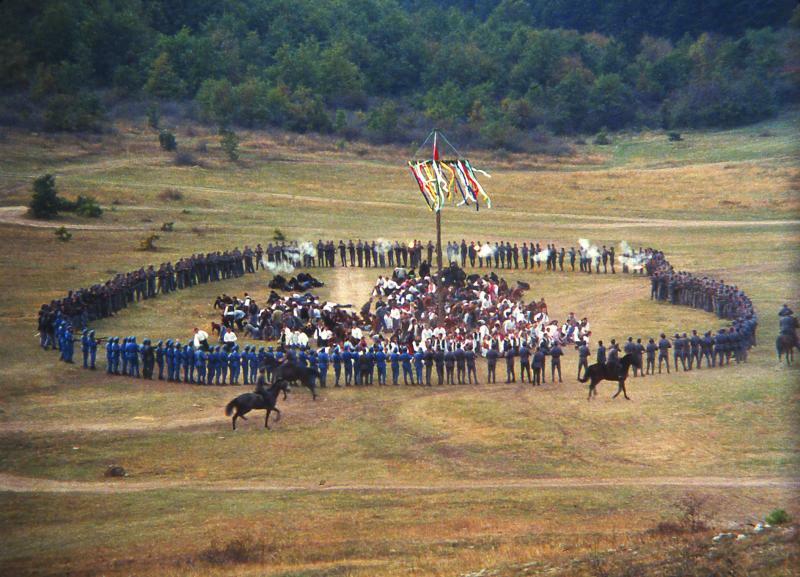 Much of the merit of Zoltán Huszárik’s Szindbád (1971) is likely to be lost on those uninitiated in Hungarian cinema and literature. The film has little narrative to speak of: what story there is centres on the title character Szindbád, who sails, like his namesake, but in a metaphorical sense. Szindbád has spent his life navigating seas of women, without ever quite fathoming the depths of their emotions. Set mainly at the end of this Lothario’s life, at the turn of the 20th century, the film follows him as he visits ageing former lovers and recalls his previous conquests in flashbacks, some lasting a few seconds, others several minutes. The most accessible charm of this film is its aesthetic. Szindbád begins with a series of intriguing extreme close-ups, mainly of objects from the natural world: smouldering wood, a lock of blonde hair, rain dripping from roof tiles, lilies unfurling, all to a haunting soundtrack of dissonant piano notes and a woman’s playful laughter. The entire film is punctuated by similarly surreal shots of everyday objects, filmed so close that they become strange. 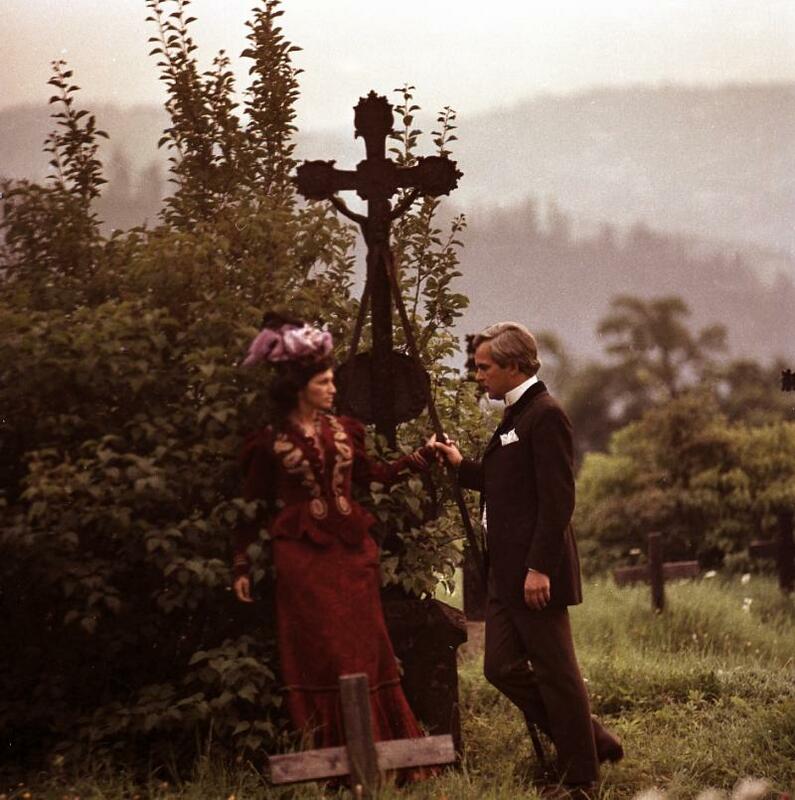 The film’s extreme long shots are equally appealing, and capture the lyrical quality of the Central European countryside in every season: mist-wrapped mountains; onion-domed churches watching over lush green meadows; leaf-littered graveyards; snowy tree-lined avenues. Szindbád also benefits from saturated colour photography that emphasises the beauty and variety of the landscape, objects and costumes. In spite of its surface beauty, there is something rotten at the heart of Szindbád. Scenes from Szindbád‘s later years are permeated with a tiresome malaise that cannot be attributed to fin-de-sií¨cle decadence. Szindbád’s unease comes from the regret of never having formed a meaningful bond with any of the scores of women he encountered: at the end of his life, he is left only with memories of fleeting pleasures. For the women, it is the sickliness of unsatisfied desire, which knows no end: they continue to languish after the unworthy womaniser. Thankfully, Second Run’s new DVD release comes with clear and concise liner notes in which Michael Brooke gives the necessary background information to Szindbád. He explains that it was a daring adaptation of the work of Hungarian modernist Gyula Krúdy, whose Szindbád stories were driven by observations rather than events. The film is also remarkable in terms of its reception: despite being set in a bourgeois turn-of-the century milieu, it was approved by the censors, and despite its artistic ambition, it became a popular success. Even now, it ranks high among the favourites of Hungarian film critics and public alike. The DVD includes just one special feature, but one so good it is almost all that is necessary. Peter Strickland, director of the Hungary-set Katalin Varga (2009), engages in an ‘appreciation’ of Szindbád: a discussion of the film’s merits that is thoughtful and detailed, yet disarmingly personal and relaxed. If you finish watching Szindbád and aren’t convinced that it was worth your while, let Strickland try to change your mind. 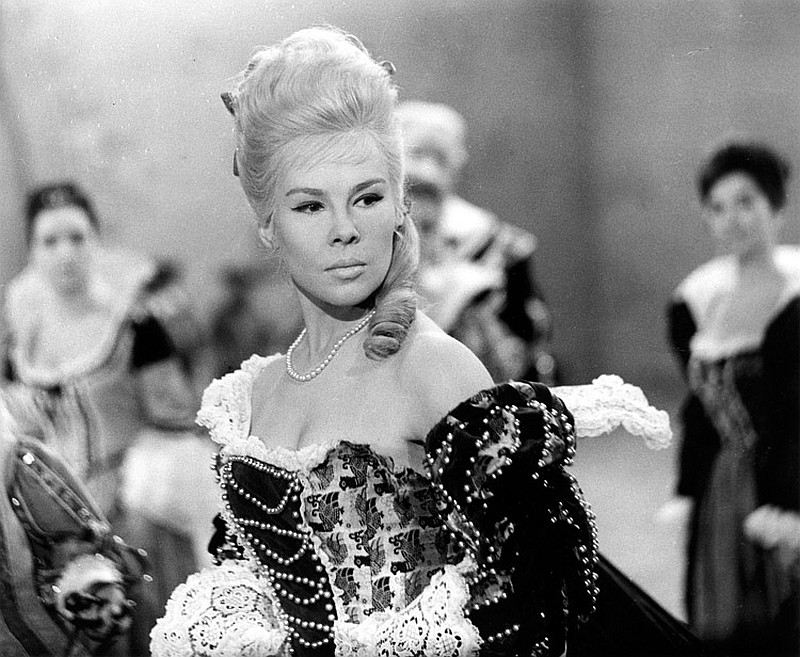 Games have been a constituent element of many Czech films, from the improvisation and word play of Voskovec and Werich in the 1930s to the unpredictable inventions of V?ra Chytilová (Daisies) in the 1960s. 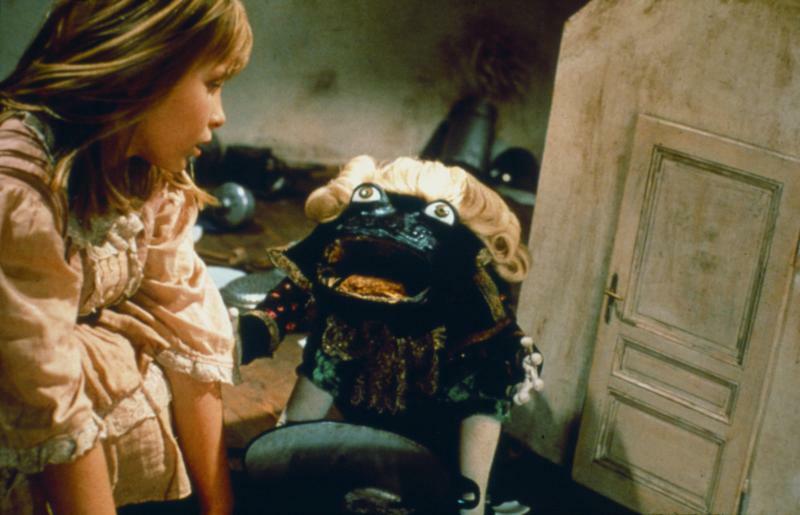 When Jan Švankmajer made Alice, his first feature film, in 1987, he was already part of a culture in which the game was central. Indeed, one of his early films, in which he ‘plays’ with stones, forming them into different combinations and Arcimboldo-like faces, was called Game with Stones (1965). The Czech Surrealist Group, which had remained ‘underground’ during the years of Stalinism after the Second World War, reconstituted itself in 1968 and Švankmajer became a member in 1970. When they were again forced underground after the Soviet invasion of the country in 1968, they began a whole series of group explorations and games, investigating such areas as touch, fear, eroticism, analogy, interpretation, creativity and, of course, dream, humour, and game itself. Collective games and interpretative experiment form the essential context of Švankmajer’s work. Cruelty - indeed, one might say sado-masochism - was an element of many of his short films, from the competing magicians of The Last Trick (1964) to the self-devouring and destructive heads of Dimensions of Dialogue in 1982. His three films dealing with childhood - Jabberwocky (1971), Down to the Cellar (1982), and Alice (1987) continue to explore this vein. Švankmajer argues that childhood is a time with which he maintains a continuing dialogue but that he remembers it as a ‘time of cruelty’. His Jabberwocky (1971), with its references to Carroll’s nonsense poem and to the pre-war leader of the Czech surrealists, Ví­t?zslav Nezval, focused very precisely on the world of children’s play. As the then leader of the Surrealist Group, the poet Vratislav Effenberger, put it, the film was a variety show from a child’s imagination with its individual ‘turns’ divided by a wall of bricks repeatedly knocked down by a black cat. Extras include the first screen adaptation of Lewis Carroll’s classic, 1903’s Alice in Wonderland, the Brothers Quay’s Alice-inspired Stille Nacht II: Are We Still Married? and Stille Nacht IV: Can’t Go Wrong without You as well as a 34-page booklet. This, together with Down to the Cellar (1982), which grew out of the Surrealist Group’s exploration into the subject of Fear, were obvious precursors of his work on Alice. Although based on his own experiences of being sent ‘down to the cellar’ to fetch potatoes, his heroine is a young girl. In this sense, the film recalls both Alice and Little Red Riding Hood, as the girl confronts the unknown. In the cellar, she meets a man who makes a bed out of coal and offers her a place beside him, an old woman who bakes cakes from coal dust, an enormous cat that stalks her, shoes that fight for a piece of bread she is eating, and potatoes that follow a life of their own and escape from her basket. Like Faust, in Švankmajer’s later ‘variety collage’ of the Faust stories, Alice moves from scene to scene and from world to world and, in this sense, the film also provides a parallel to the earlier Jabberwocky. But, unlike Carroll’s original, the characters have become much more explicitly threatening. The principal puppet figures that she meets all have the appearance of old toys - to echo André Breton on the ‘magically old’ - ‘old-fashioned, broken, useless…’ The March Hare constantly has to be wound up and have his eye pulled back into place, the Mad Hatter is made of carved and beaten wood and, despite his hollow innards, constantly drinks cups of tea. The White Rabbit continually has to replace his stuffing - a constant resurrection revealing, suggests Brigid Cherry (in Kinoeye), the influence of Gothic horror, and representing the Undead. Undoubtedly, the rabbit is far from reassuring, arrogant, domineering and, armed with his pair of scissors, a ‘castrating’ figure. Švankmajer’s most nightmarish creations are his ‘animals’, who pursue her at the White Rabbit’s behest after she has escaped from his house. These skeletal monsters - imaginary beasts made largely from bones - first made their appearance independently as part of Švankmajer’s sequence of constructions entitled Natural Science Cabinet in the early 1970s. They include a coach pulled by chickens with skull heads, a fish-like skeleton with legs, a skull dragging a bone body, and a skull head that snaps out of a jam pot. This array of visions is far from the antiseptic world of Disney or the reassuring middle-class images of Sir John Tenniel. But, as one Czech critic put it, Alice’s confrontations with fear and humiliation are more than compensated by her ‘outstanding character and extreme intelligence’. There will be a screening of Alice on June 16 at the Barbican (London), followed by a Q&A with Jan Švankmajer and Peter Hames.